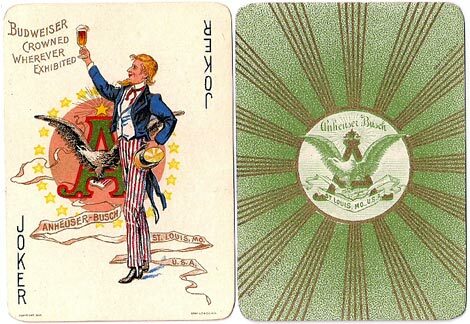 An early non-standard, advertising war deck of special interest to Anheuser-Busch and brewery collectors, this is the first version printed by Gray Lithograph Co., New York, featuring patriotic themes connected with the Spanish-American War. The Kings show American admirals and the Jacks have different officers at each end. Advertising appears on the Ace of Spades and ‘Uncle Sam’ Joker, the back and the box. The medals on the Aces suggest awards. 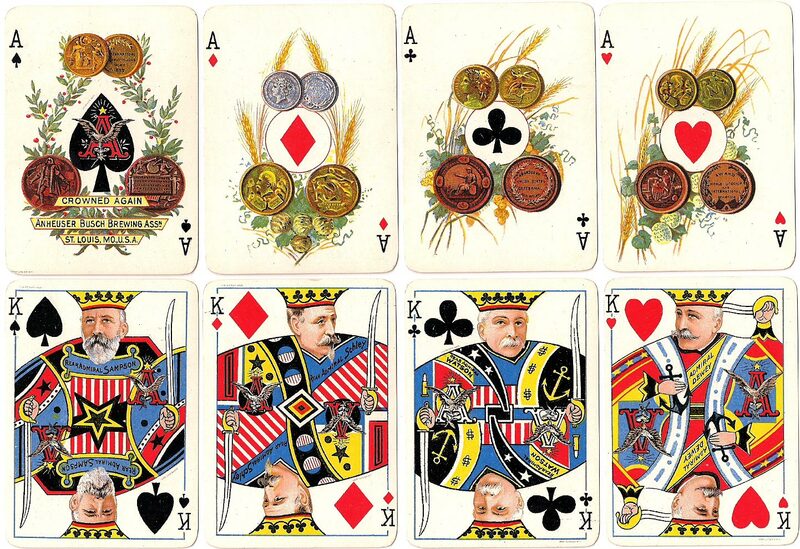 A second version of this deck was printed by U.S.P.C.C. in c.1900. Above: Anheuser-Busch Spanish American War playing cards, published by Gray Lithograph Co., New York, 1899. An inscription in tiny print on the Joker reads "Copyright 1899". Gold edges. The printing contains up to 9 stone lithograph colours… the popular printing method of the era. 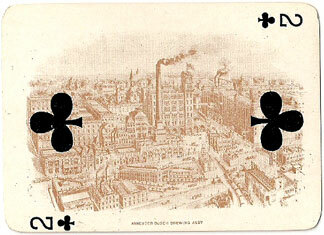 The background of each pip card has a sepia picture of the Anheuser-Busch Brewery in St. Louis. Images courtesy Rod Starling.